Web 2 WordPress SEO Theme version 3 was last tested on WordPress 3.0 and no issues found. Update June 2014, the free Web 2 AdSense WordPress theme hasn’t been updated for around 6 years, have no plans to update it in the near future. If you are looking for a free AdSense WordPress theme use the Talian 5 AdSense theme, looking for a WP theme with AdSense, Chitika, Kontera, Infolinks and custom ads built in, plus awesome SEO features see the Stallion Responsive Premium theme (not free). 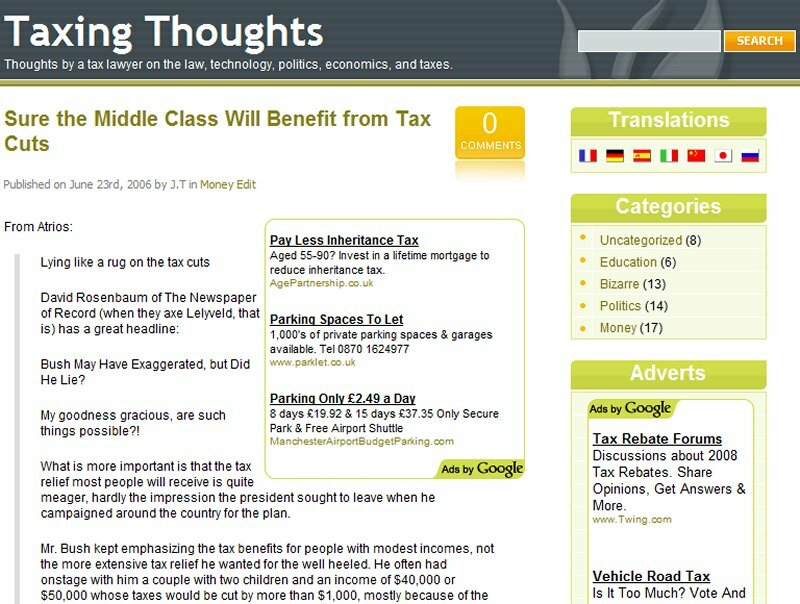 Consider Web 2 as an archived WP AdSense theme, will probably have issues with latest version of WordPress. Web 2 is a 2 column WordPress theme with a very clean look and pastel green coloring. Like all the WP themes I convert to AdSense/Search Engine Optimization coding there was a LOT of code changes and updates needed to bring it up to WordPress 3+ standard. The header navigation menu was problematic (many themes with menus there break in WordPress 2.5+) and since you don’t need a navigation menu below the header I removed it (resulting in an even cleaner, less cluttered WordPress theme). Added language translation links (7 language translations: French, German, Italian, Spanish, Russian, Chinese and Japanese) to Google languages and support for various SEO WordPress plugins that can be downloaded from the plugins page and a sitemap template page (sitemap.php) for those wanting a page with a link to all page of their WordPress blog..
I’ve added many new features not found in the original Web 2.0 theme, fixed any code problems I found and generally improved what was a nice WordPress theme, but with aging code (that old the original developers sites are closed!). Turned a very nice WordPress theme into a Premium WordPress theme. You can see the 250×250 and the top of the sidebar Google AdSense ad units in the screenshots below. 1. Unzip the Web 2 theme zip file. 2. Edit the file adsense.php within the /web-2-adsense-seo-03/ folder to include your Google AdSense code (read the readme.txt file for more details, very easy to do). 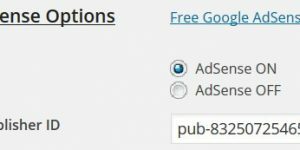 Note: Adding your unique Google AdSense publisher code (your pub-##### number) is the ONLY required change needed to the entire Web 2 AdSense + SEO theme to make the theme ready to turn your WordPress blog into a Google AdSense residual income stream. 3. Upload the entire /web-2-adsense-seo-03/ folder to your WordPress themes directory (via FTP, just like any other WordPress theme you’ve tried). 4. Log into your blogs dashboard and under Presentation select the new “Web 2 AdSense + SEO 03” WordPress theme and you are done. The Web 2 AdSense + SEO theme out the box uses blended ad unit colours and large ad units for maximum CTR/AdSense revenue (like all WordPress AdSense themes on this site). If you wish to change unit colours and/or ad unit dimensions this can be achieved by editing just one file (adsense.php). I am a complete newbie to WordPress. I have built a simple HTML/CSS website, but obviously have a long way to go (at beyond2009.com). As a complete newbie (read me as an idiot on this subject) to WP, it seems that the Web 2 with AdSense and SEO might be a good place to start. With my lack of expertise, do you think it would be possible to modify this theme to do what I want? Or, do you have one similar to my needs? I don’t know enough to even ask the right questions, so I apoligize for that lacking. I don’t mind spending the $15-$20 for one of your themes, but if I would not even know where to start, it would be pointless. I realize that it is not your place to consult your readers on WP use, but I am hoping that you can tell me whether I should just use a WP default theme while I am learning how to use more complex themes. Hi, I don’t have an answer to Ron’s question but I basically have the same question. Is there a way using a word press theme to make sure that the AdSense is not all over the page? I want my content to be primary and the AdSense to be secondary? That is my main concern. I wouldn’t mind spending the money either like Ron. All the WordPress themes sold on this site have the ability to turn off the AdSense ads individually (note: I run Stallion 6 on this site and it has ads turned off). 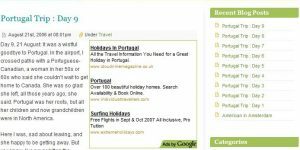 There’s a file with the cheaper themes (like Web 2) adsense.php that you edit in a text editor or online via the WordPress theme editor, in that file you can set which AdSense ads are shown and their sizes. So with Web 2 etc… you can edit one file (very easy to edit, change a few 1’s to 0’s) and you can easily achieve no AdSense ads within the main content. The more expensive themes : Talian 5 and Stallion 6 have these and many more settings built into options pages, so rather than editing the adsense.php file it’s all built into the WordPress dashboard (tick boxes). Stallion 6 is my best WordPress theme, there are a lot of AdSense options built in, you can achieve almost any ad placement you could think of. Currently (May 2011) Stallion is only a 3 column theme, in the next update (probably release in June: all Stallion 6 customers receive a free upgrade) it will have different layouts including 3 column, 2 column (left or right sidebars) and 1 column (no sidebars : they are at the bottom of the content). There’s also around 10 colour schemes with Stallion with more planned.